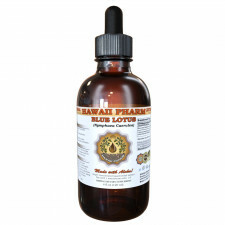 Only from Hawaii Pharm - Highest Strength, Highest Quality California Poppy and Kava Kava extract! Crude California Poppy and Kava Kava extract of first cold extraction! California Poppy and Kava Kava extract contains ONLY natural ingredients! Super concentrated California Poppy and Kava Kava extract: dried material / solvents ratio is 1:3! We strictly use Only Certified Organic or ethically sourced wild harvested raw material, organic or pure pharmacy grade alcohol, vegetable palm glycerin and crystal clear artesian purified water! Really the BEST California Poppy and Kava Kava tincture on market! 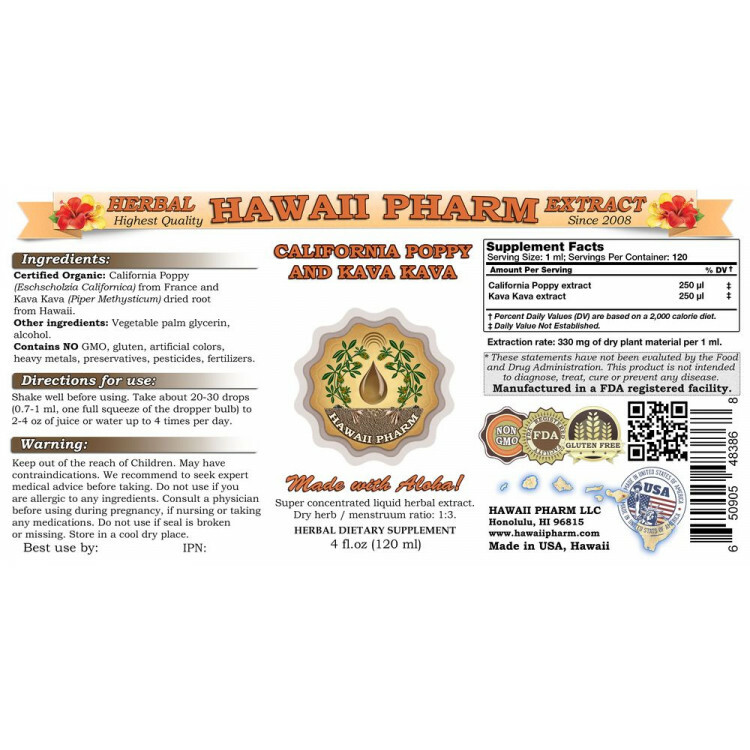 Main Ingredients: Certified Organic California Poppy (Eschscholzia Californica) from France and Kava Kava (Piper Methysticum) dried root from Hawaii. Product is great and international delivery was on time! Thanks! Items are always shipped super fast. Great! Item arrived on time in adequate packaging. Received on-time and without hassle. Thank you. A little procey, but works on my muscle cramps. Part of my daily diet. I love it. All I can say is it works. I told someone else about this product. Will purchase again when I run out. Thanks for this product. I sent this product to someone, so my comment is very limited. We have corrected our problem with the shipping.. The company is excellent. Arrived just in time . Helps control cramps during dialysis. Very good product to fight off colds, congestion, and remaining effects of bronchitis. Also helps my brother's sinus. The product did not arrived. The currier might have lost the goods somewhere. The seller have promptly attended and refunded.